Women’s Jogger Set Just $19! Down From $50! Shipped! For a limited time only! At Proozy, you can score this Women’s Jogger Set for just $19 down from $49.99 when you use promo code PZY19 at checkout PLUS FREE shipping! Lightweight synthetic fleece sweatshirt and pant set. Matching pants with elastic waist and external drawcord. Sizes tend to run small. Women’s Jogger Pants Just $13.99! Down From $49! Shipped! This deal expires on December 20! At Proozy, you can get thee Women’s Jogger Pants for just $13.99 down from $49 when you use promo code PZY1399 at checkout PLUS FREE shipping! Rugged rips bring a mod energy to a cozy pair of drawstring jogger pants that will take your athleisure wardrobe to the next level. 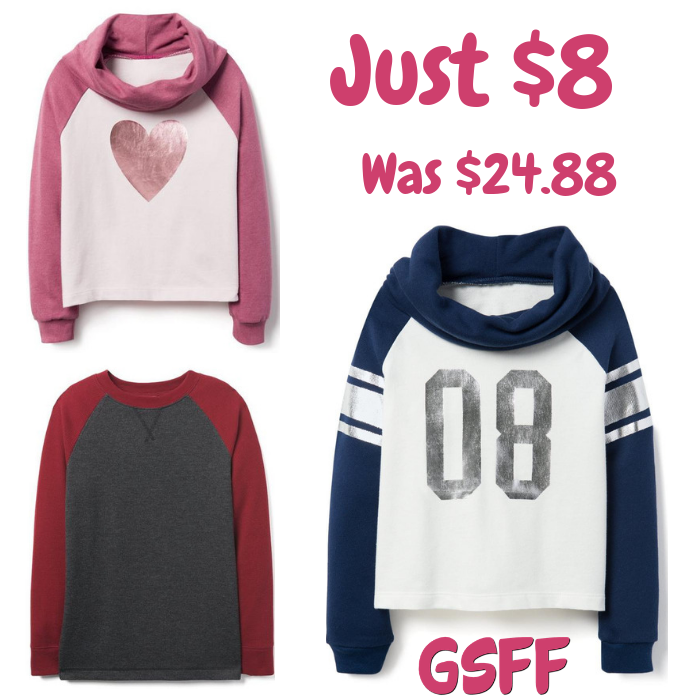 Pullovers, Joggers & Raglans Just $8! Regularly $25! Hurry over to Crazy8.com where you can score these Pullovers, Joggers & Raglans for only $8 regularly up to $24.88! Shipping is FREE for orders $75 or more!